THE community around Samuel White's Infants School in Hanham has helped raise more than £2,000 for pupils. 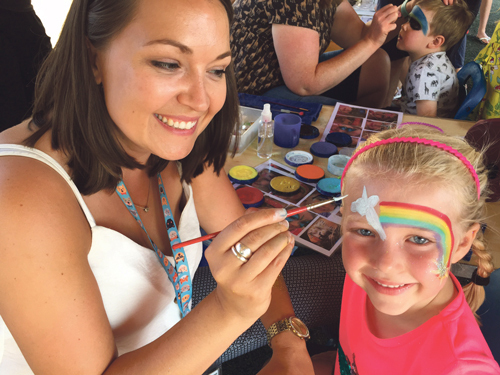 Children, mums, dads, grandparents and friends flocked to the school's summer fair where they enjoyed the sunshine and took part in games and activities. Local dance group 3D Dance kept the crowds entertained with energetic performances and a variety of stalls meant there was plenty for visitors to do. The weather was almost too good, with drinks running out at one point because everyone was so thirsty! Bryony Davis, chair of the Friends of Samuel White's which organised the event, said the fair raised a grand total of £2,388.80 with another £400 to be added on from proceeds of a school raffle. She said: "It was a brilliant success. The weather was on our side which meant we had lots of people turn up, which was really nice. "People remarked that it was a really great atmosphere and they really enjoyed themselves. The total we have raised this year is £10,999.13 and there is still more to come. Not bad for a small team!"